Andy Murray is a very busy man during the championship fortnight at Wimbledon, but he found time in his busy schedule to stop by Henman Hill (or Murray Mound, if you prefer) to play with some puppies. Andy Murray is a very busy man during the championship fortnight at Wimbledon, but he found time in his packed schedule to stop by Henman Hill (or Murray Mound, if you prefer) to play with some puppies. 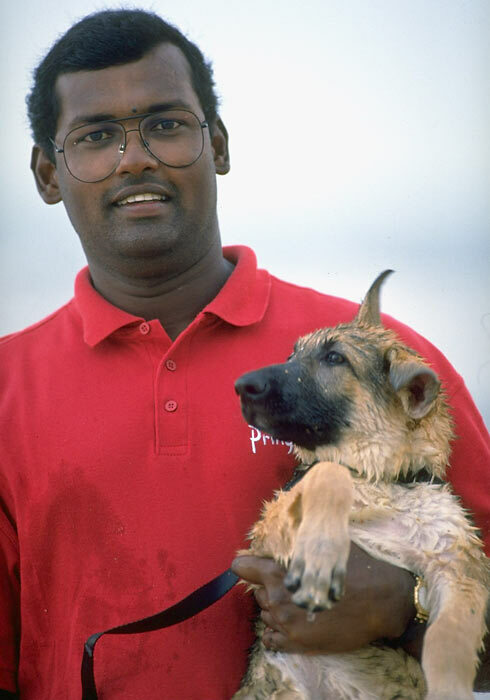 The dogs come from the Metropolitan Police Service, which is training them to be sniffer dogs to help fight against the illegal shipping of exotic animals into the U.K. 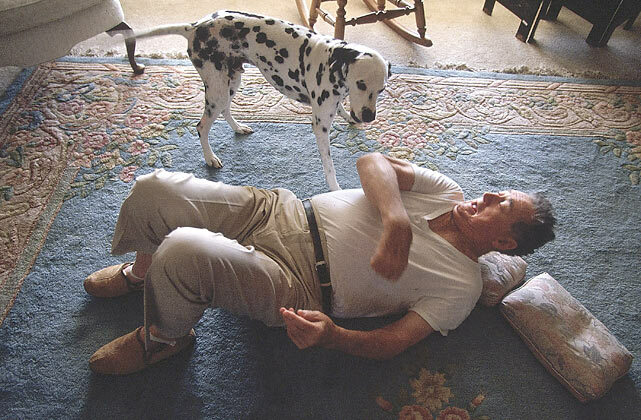 The video pretty much is as adorable as one would hope, although one dog does take advantage of all the greenery to handle some unsavory business, which doesn't faze the animal-loving Murray much. 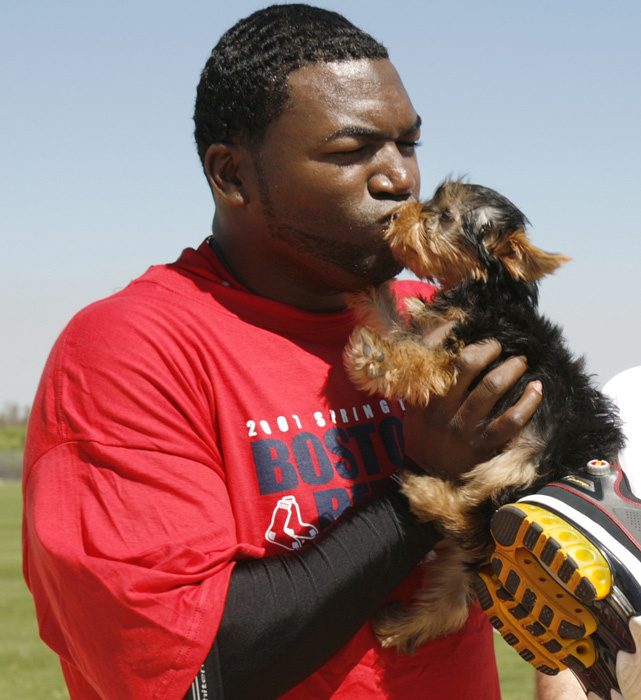 In this photo, David Ortiz kisses his dog Mikey following conditioning drills at the team's spring training facility in Fort Myers, Fla.
San Francisco 49ers tight end Vernon Davis with his dog during an SI photo shoot in San Francisco. 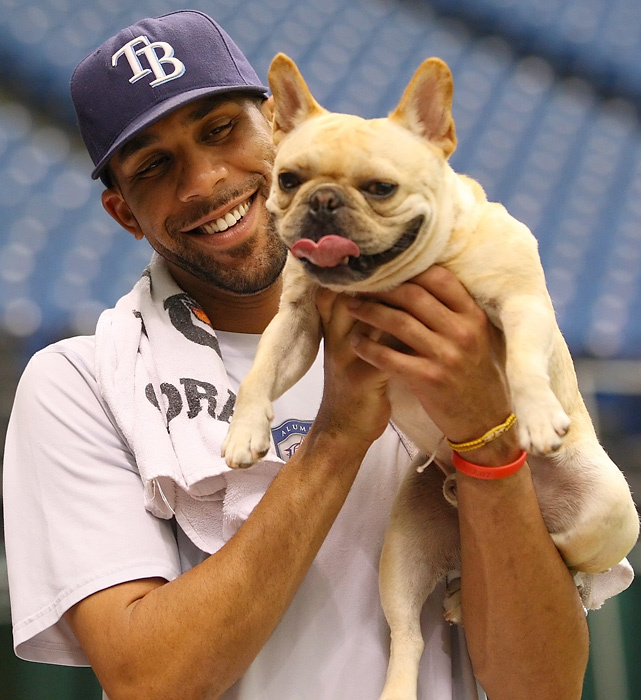 Rays pitcher David Price plays with his dog Astro before a home game against Seattle. 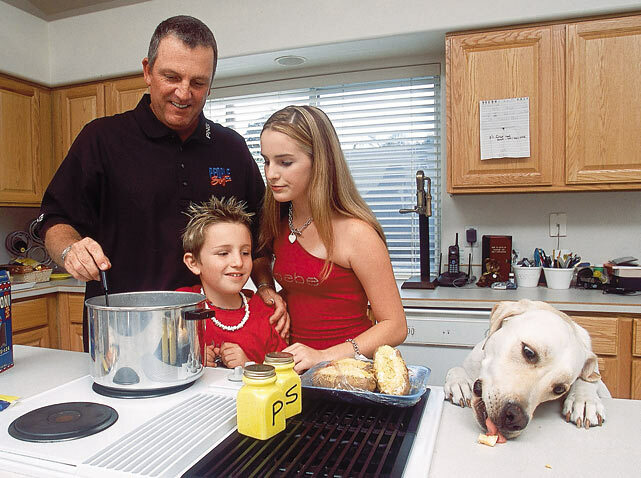 LPGA standout Paula Creamer poses with Studley at her home in Windermere, Fla.
Michelle Wie with her Pomeranian, Lola at the Industry Hills Golf Club in California. 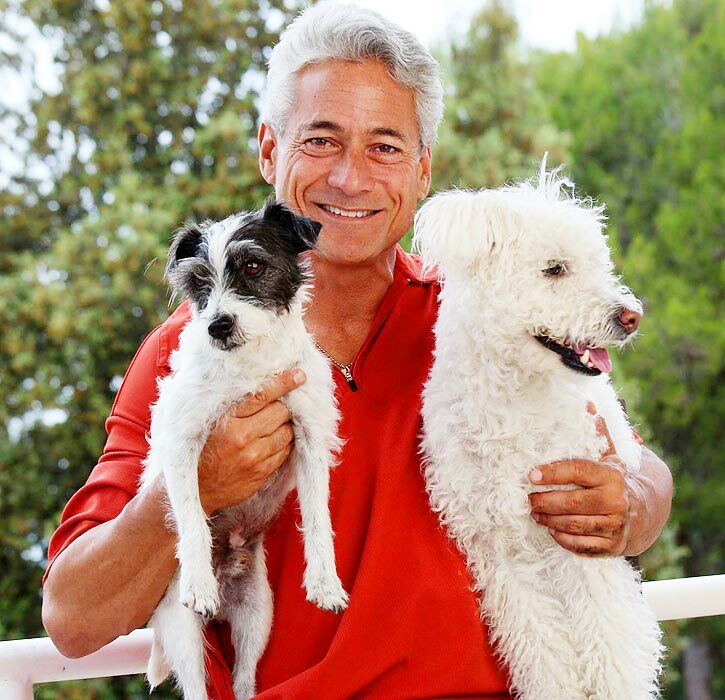 Four-time Olympic gold medalist Greg Louganis with his dogs, Dobby and Hedwig at his home in Los Angeles. Jack Jablonski with man's best friend days after a hockey injury changed his life. 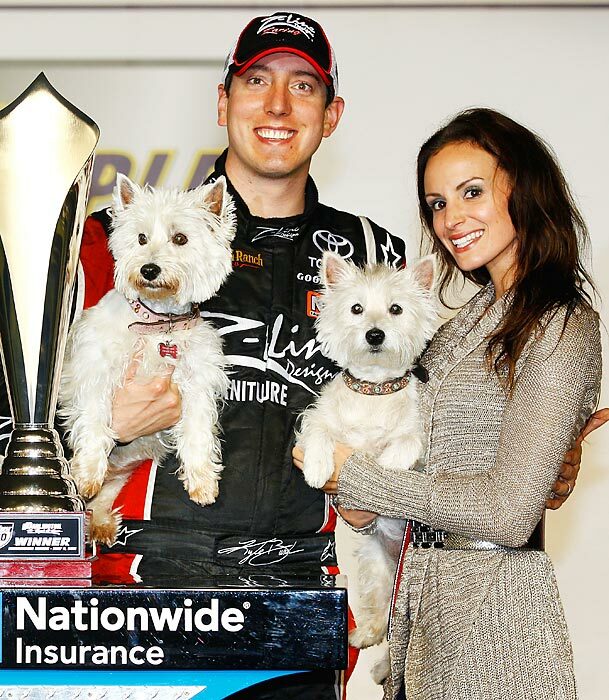 Kyle Busch and his wife, Samantha Sarcinella, celebrate with their dogs in Victory Lane after winning the a Nationwide Series race at Darlington in 2011. 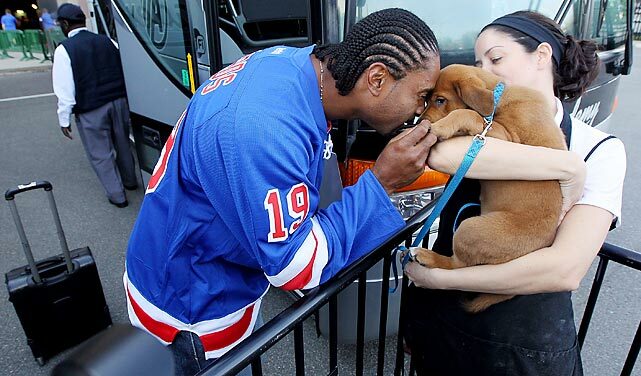 Manny Acosta says goodbye to his dog before boarding the team bus for a road trip from New York to Toronto. 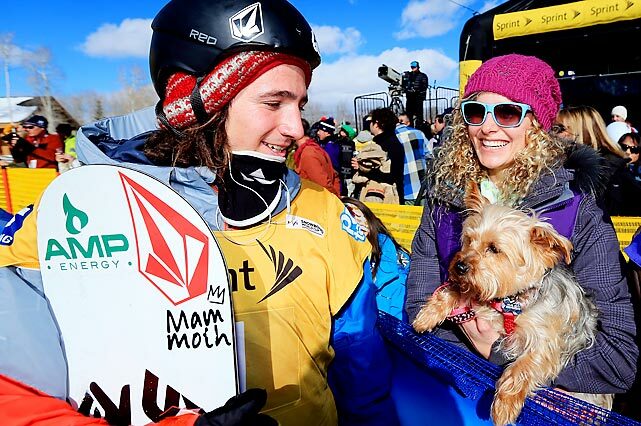 Lindsey Jacobellis, accompanied by her dog Gidget, talks with Luke Mitrani after he finished third in the FIS Snowboard Halfpipe World Cup in Park City, Utah. Serena Williams and her dog only travel first class. 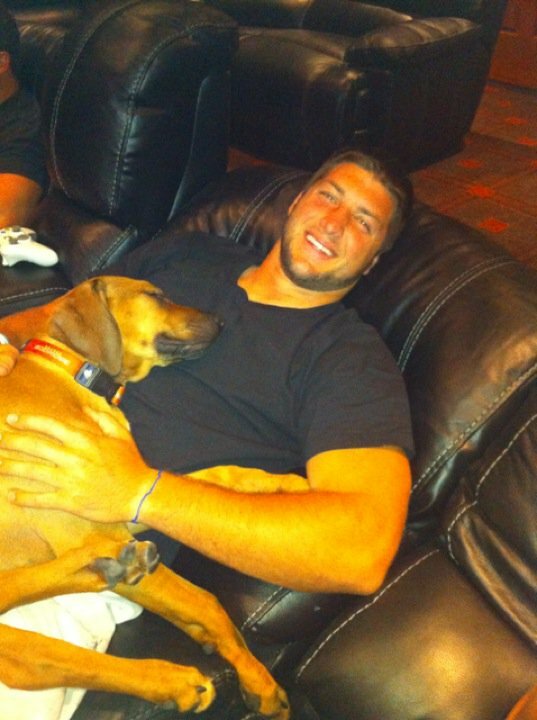 At the rate Tim Tebow's career is going, his dog may soon develop an identity crisis. The quarterback changed his Rhodesian Ridgeback's name from Bronco to Bronx after getting traded from Denver to the Jets. Following a disappointing season in New York, the Jets are reportedly hoping to trade Tebow. 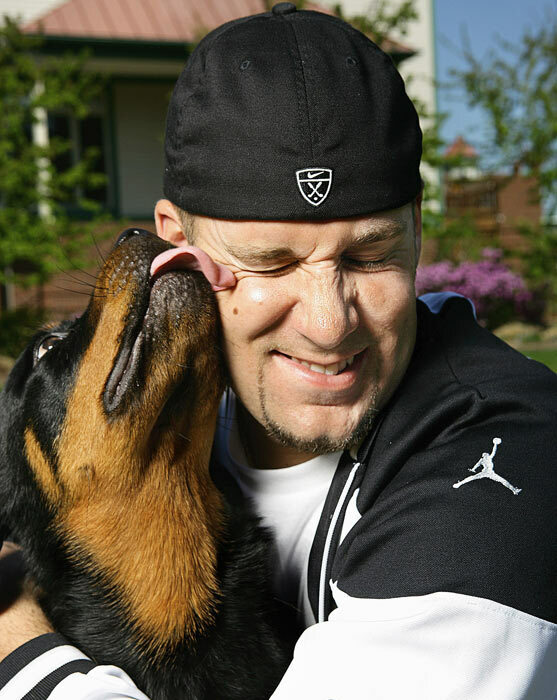 Ben Roethlisberger's dog licks his face at his Pittsburgh home. 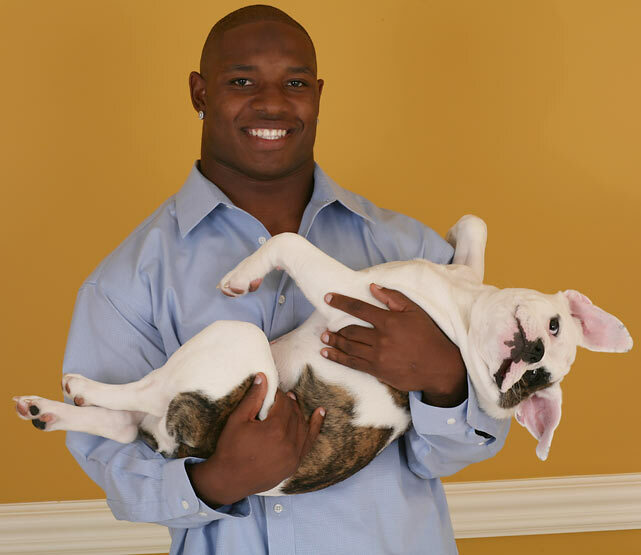 Maurice Jones-Drew and his dog Phillip strike a pose during an SI photo shoot. Novak Djokovic's poodle, Pierre, made headlines in 2011 when Wimbledon officials banned Pierre from the All England Club. 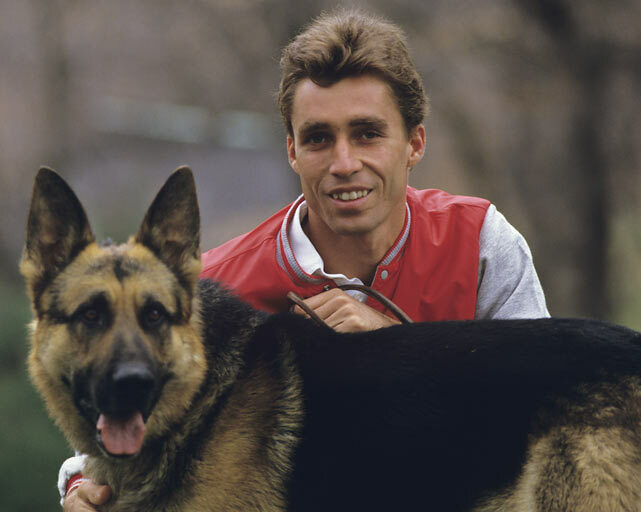 Pierre, who like Andy Murray's dog Maggie May also has his own Twitter account, is a regular member of the No. 1 ranked tennis player's travel crew. Dario Franchitti poses with Ashley Judd and their dogs after winning the 2012 Indianapolis 500. 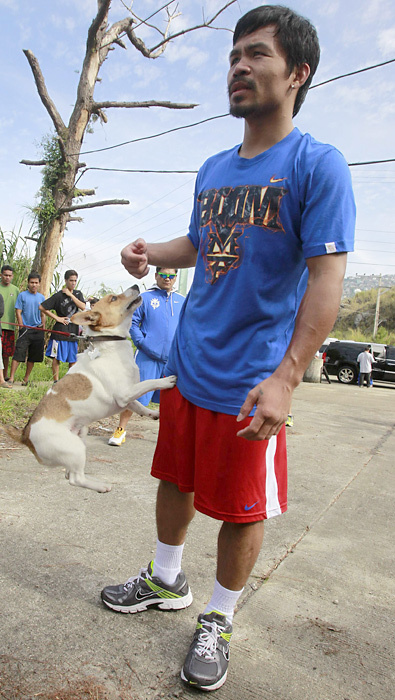 Manny Pacquiao's pet dog "PacMan" jumps on him as he rests from his morning training in the northern Philippine resort city of Baguio. 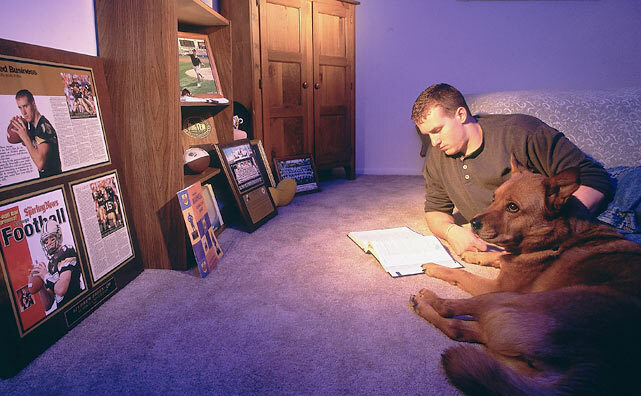 Before he was a Super Bowl-winning quarterback, Drew Brees would hit the books at Purdue with man's best friend. 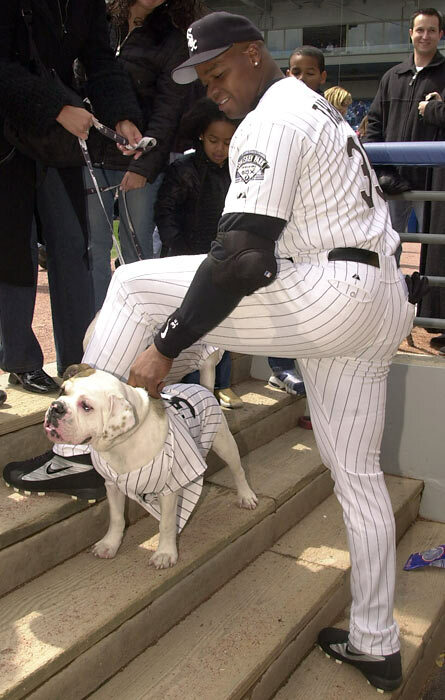 Frank Thomas pets his dogs Bubba and Barbie during the "Dog Day" promotion at Comiskey Park. 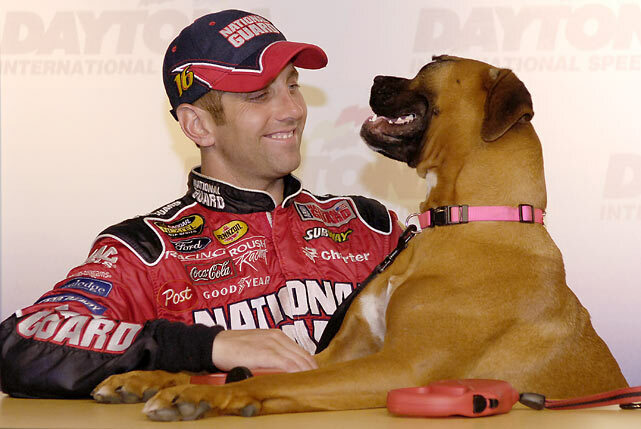 Greg Biffle and his dog Foster appear at a press conference to launch the NASCAR Pets calendar. 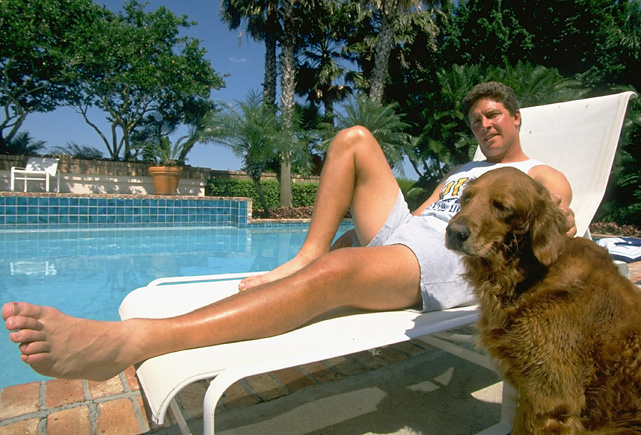 Dan Marino and his dog enjoy some time by the pool. 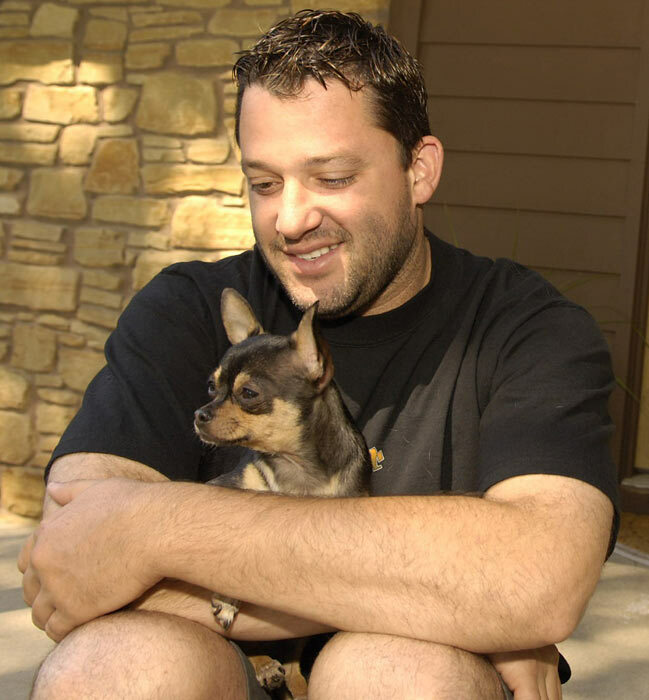 Tony Stewart makes sure to keep his dog close during an SI photo shoot in his hometown of Columbus, Ind. 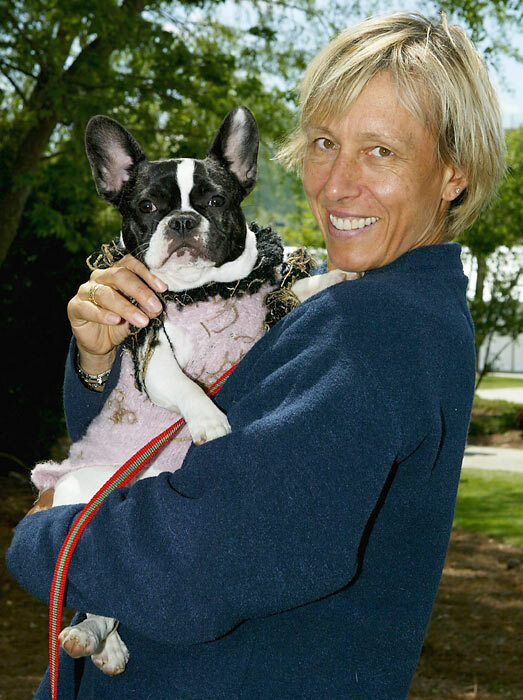 Martina Navratilova poses with one of her many dogs during the Family Circle Cup in Charleston, S.C.
Ben Sheets poses with his wife Julie and dog Bruiser. Matt Birk and his dog Jake get in a workout at Birk's gym in St. Paul, Minn.
Mark Calcavecchia spends time at home with his children Eric and Britney and the family dog, D.J. 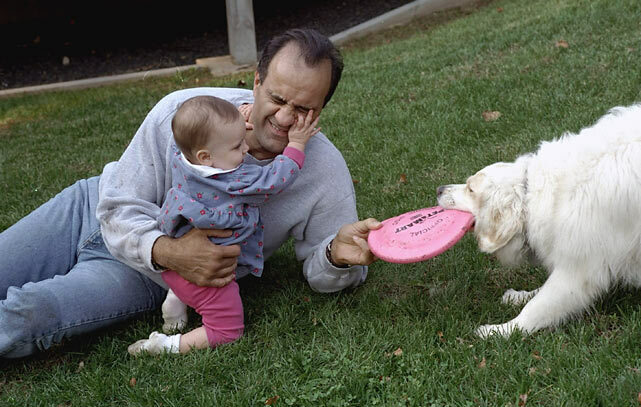 Joe Torre plays in his backyard with his 11-month-old daughter Andrea and the family dog. Mike Alstott and his dog get ready for some fishing. 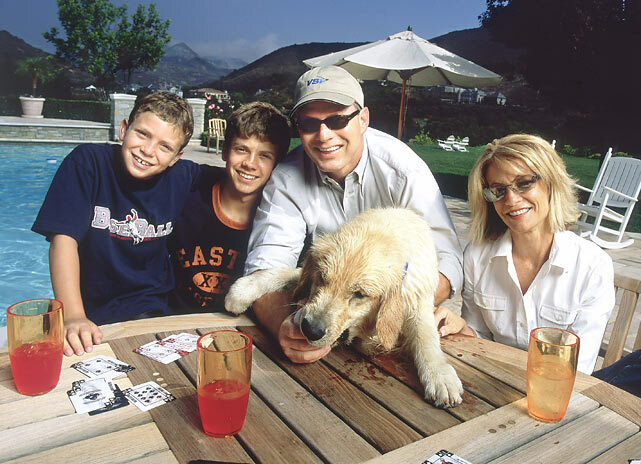 Lenny Dykstra, his wife and their two sons hang out in the family's backyard while the family dog tries to stay out of mischief. 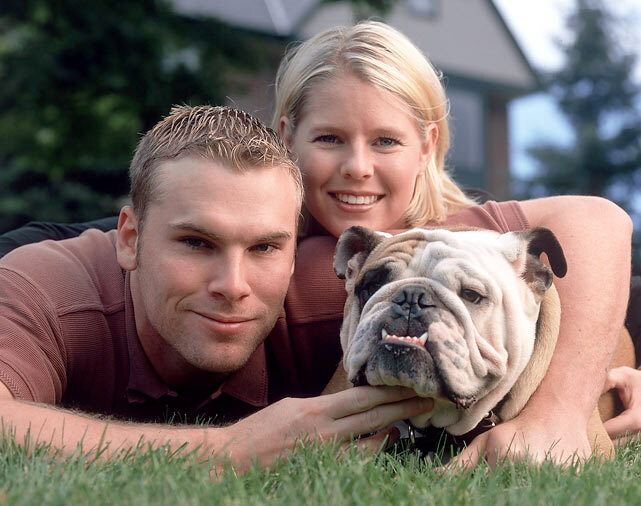 Todd Helton and his dog pose together for a SI photo shoot outside Coors Field. 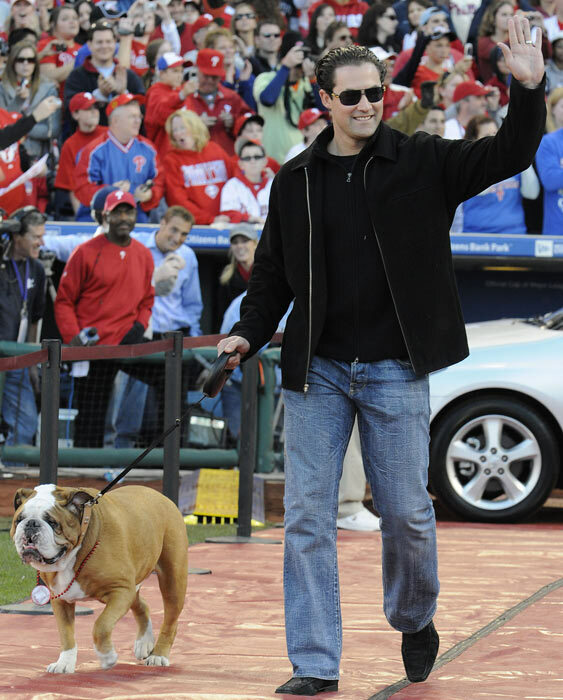 Pat Burrell and his dog Elvis arrive at a victory rally celebrating the Phillies' World Series victory at Citizens Bank Park. 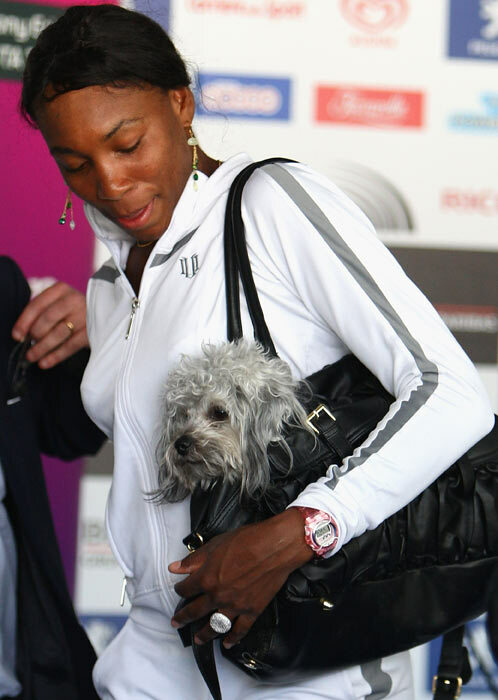 Venus Williams and her dog leave the press conference during previews for a WTA event in Rome. 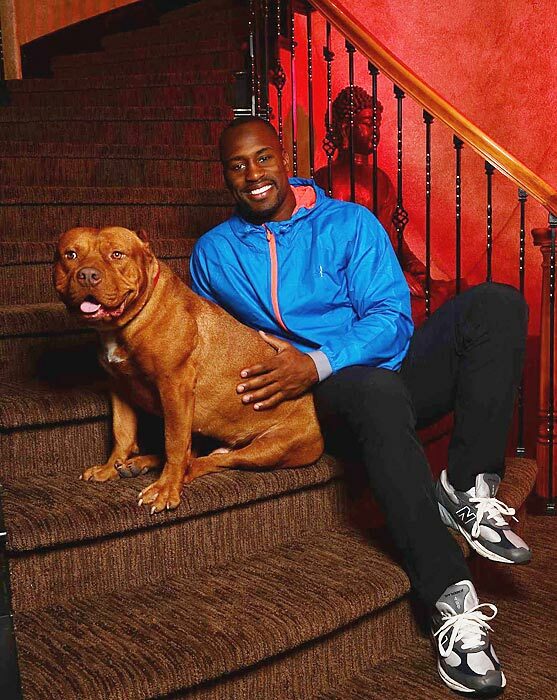 Miles Austin spends quality time with his family and the Austin family dog at their New Jersey home. 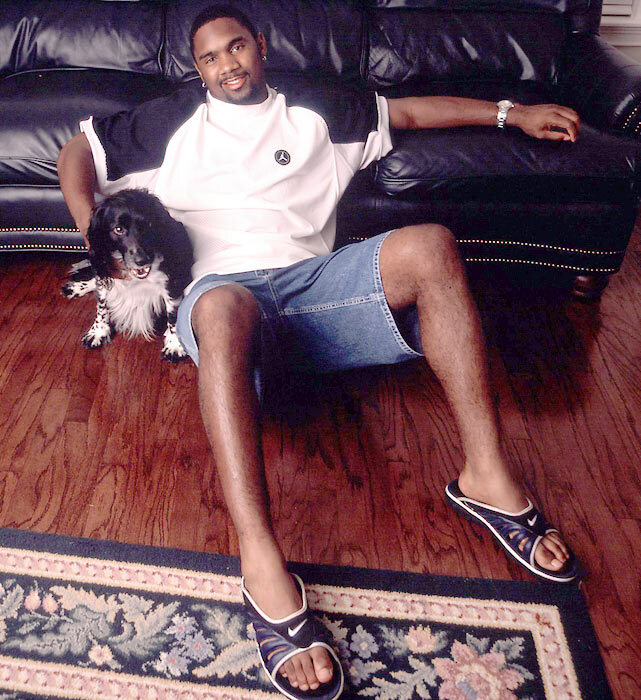 Charles Woodson and his dog enjoy a leisurely afternoon at Woodson's house in Oakland. O.J. 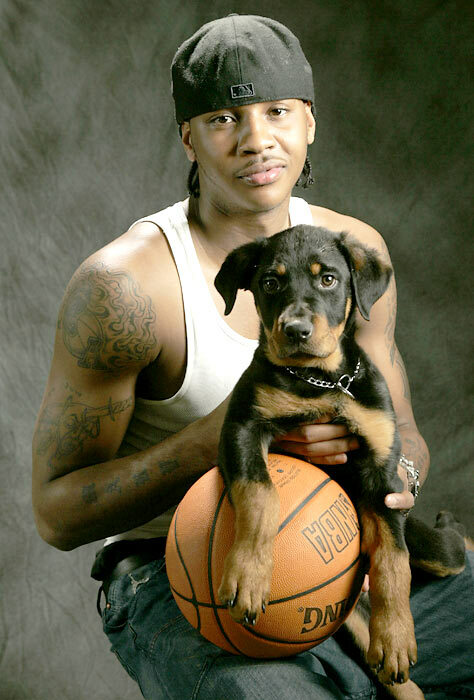 Myao and his dog, Bum, hang out at their Memphis house. 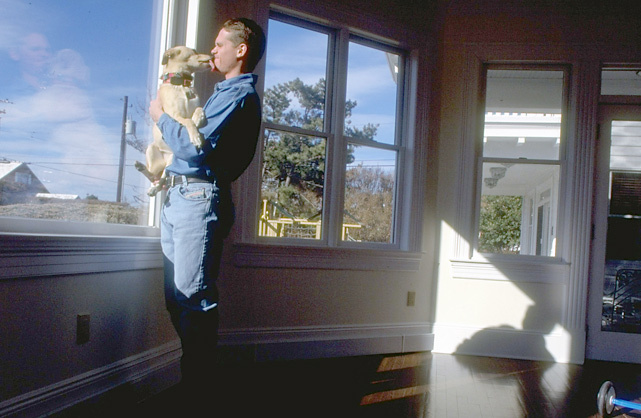 Craig Biggio gets his face licked as he looks out the window of his living room. 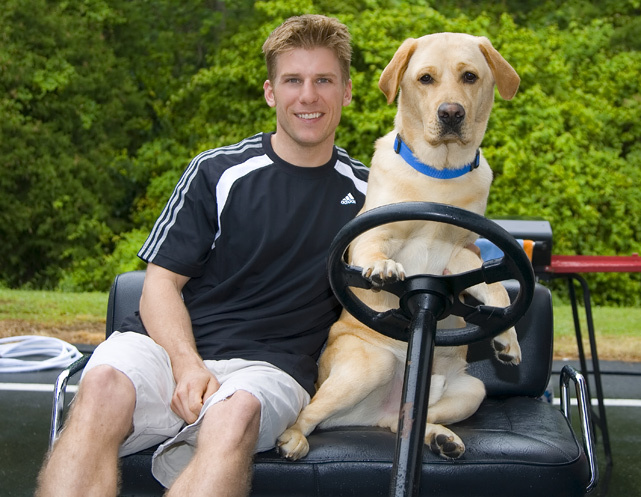 Downhill skier Picabo Street washes her dog Dougan at an Aquadog in Portland, Ore.
Jamie McMurray poses with his dog, Jake, at the Richmond International Raceway. 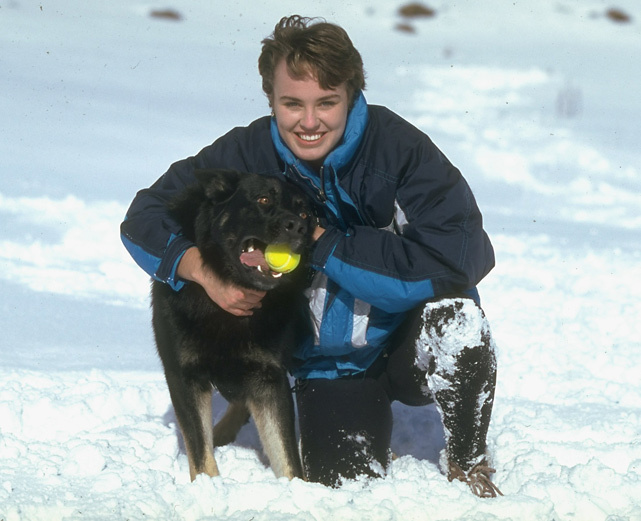 Martina Hingis and her dog enjoy the snowy weather. 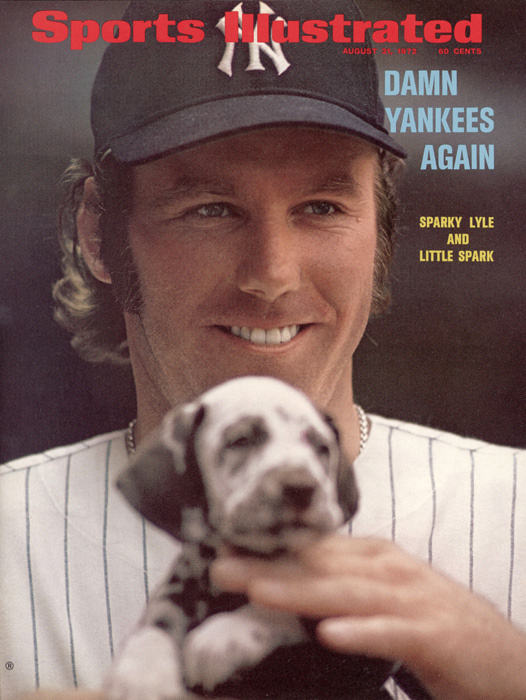 Sparky Lyle and his puppy pose for this Aug. 1972 cover. 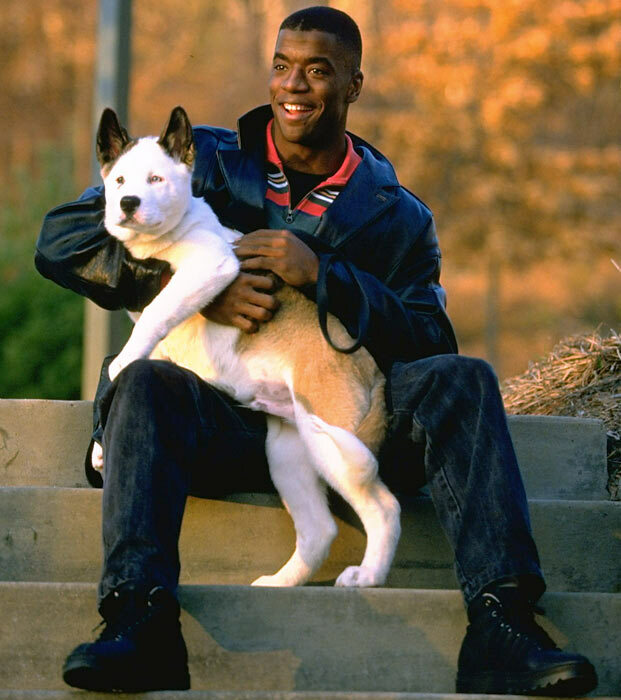 Kordell Stewart and his dog strike a pose during a 1995 photo shoot. 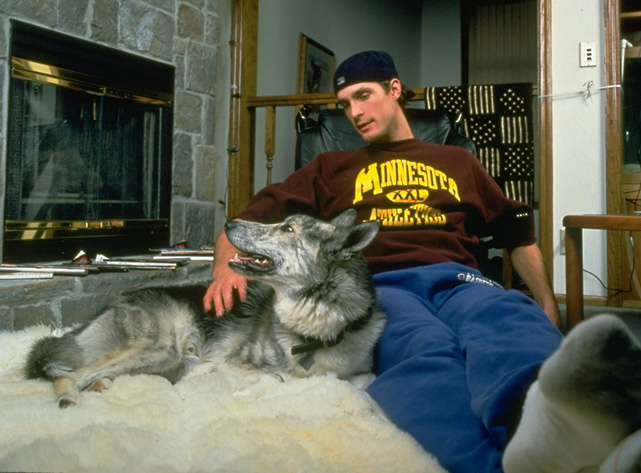 Christian Laettner and Chief relax by the fireplace at the forward's Minneapolis home. 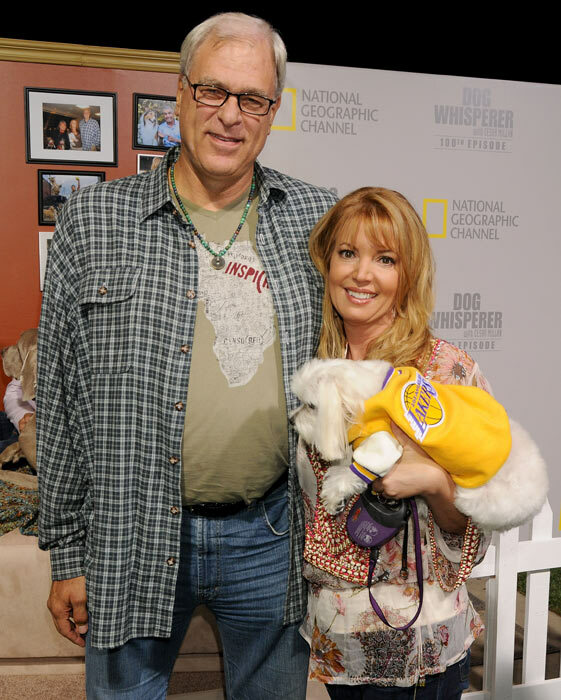 Phil Jackson, Jeanie Buss and their dog arrive at the 100th episode celebration for the "Dog Whisperer" With Cesar Millan. The three appeared on the show in 2008. 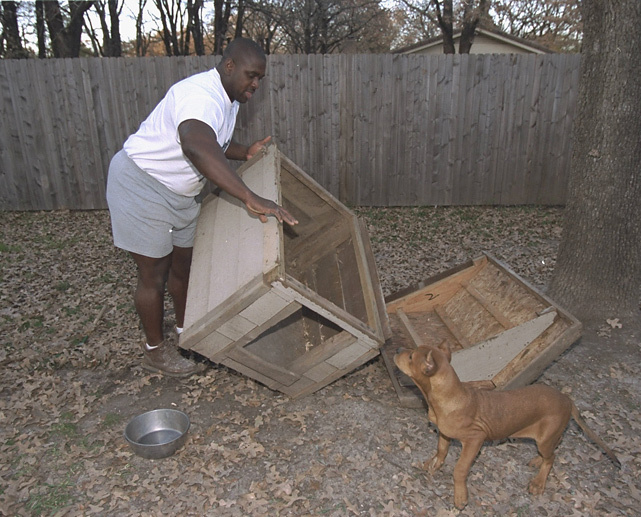 Nate Newton builds a doghouse for his pit bull. 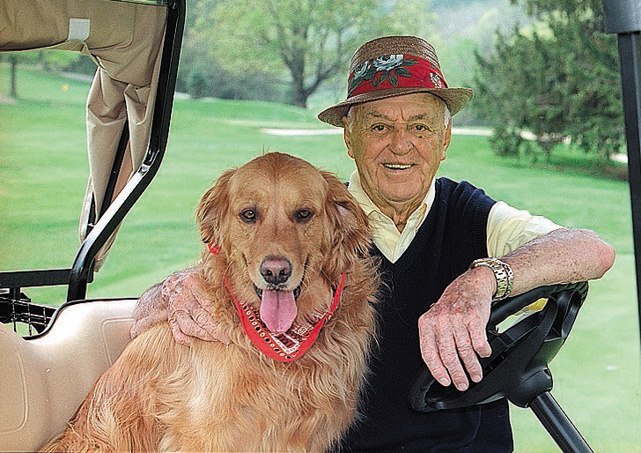 Vijay Singh and his dog take time out for a quick photo during a tour event in Ponte Vedra, Fla.
Sam Snead and Buddy pose while sitting in a golf cart. 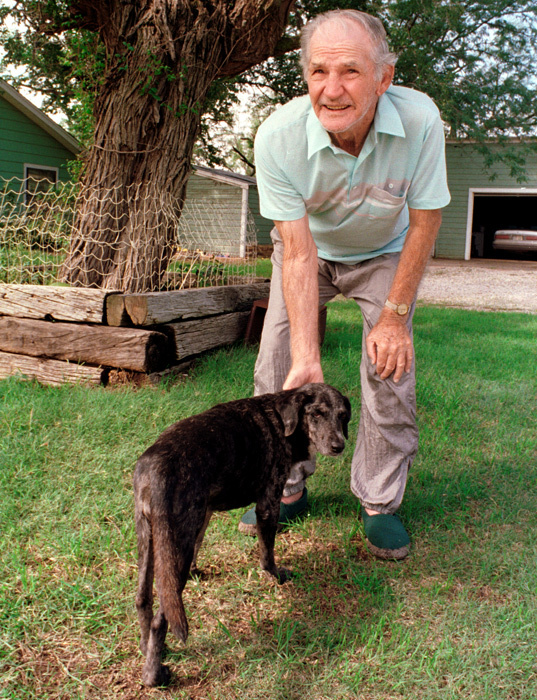 Sammy Baugh pets his dog Cow Patty at his West Texas ranch near Rotan, Texas. 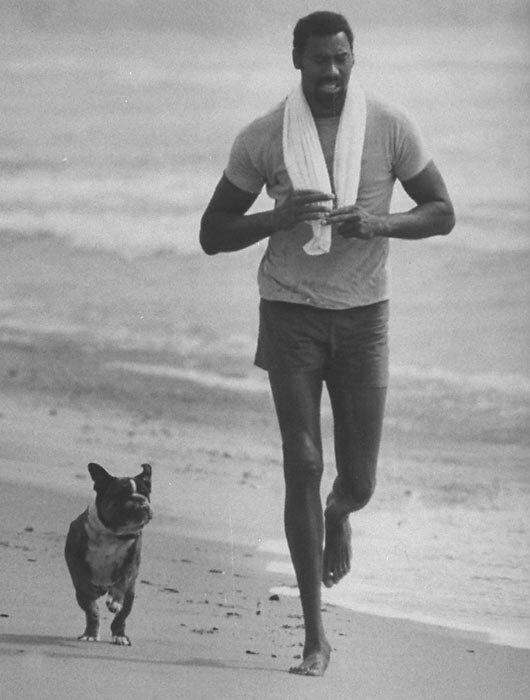 Wilt Chamberlain jogs on a California beach with his dog. 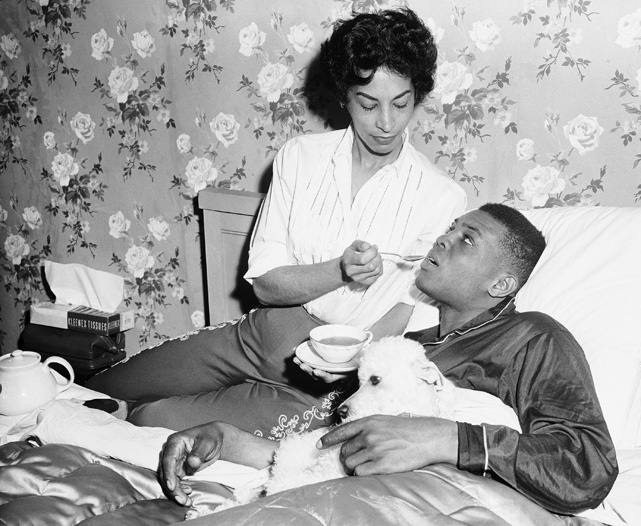 Hall of Famer Ted Williams plays with his dog at their home in Hernando, Fla.
Willie Mays is comforted by his wife Marguerite and dog Pope after catching a virus during spring training in 1957. 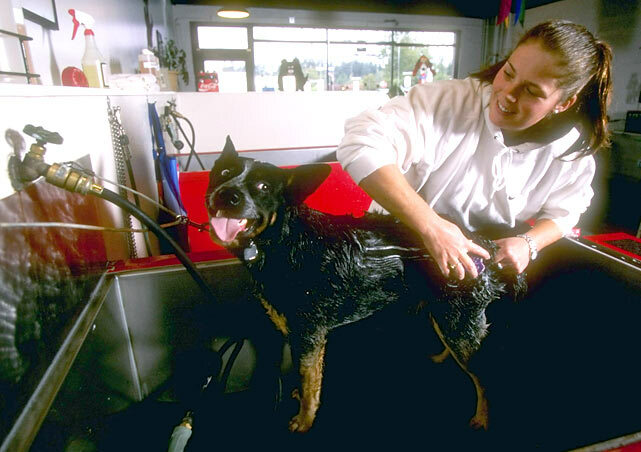 Chris Mullin gives a bath to his dog, Kuma. 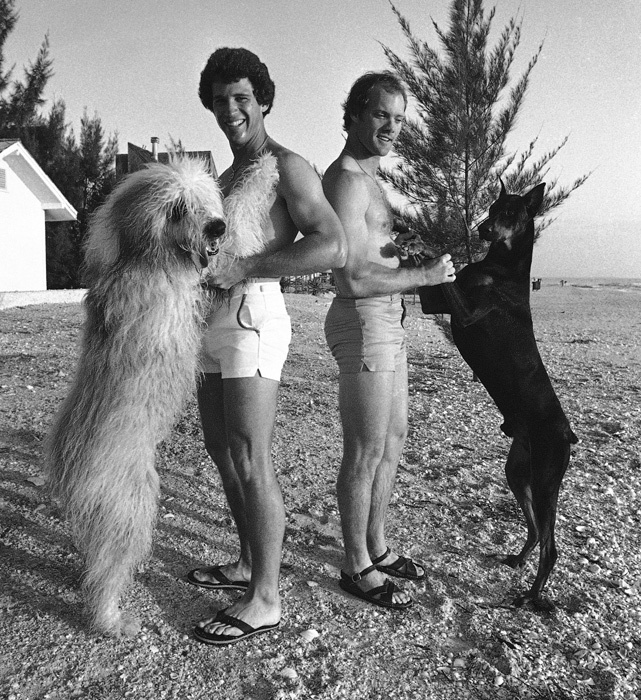 New York Mets teammates Doug Flynn (left) and Joel Youngblood play with their dogs during spring training in St. Petersburg Beach, Fla.